On February 13, World Vision supporters joined our advocacy conference call Hope for a World Without Hunger. Experts talked about the partnership between World Vision and the U.S. government to reduce global hunger and highlighted a simple way to encourage members of Congress to accelerate this progress! Listen to the call recording and read highlights below. If you want to receive updates on our next conference call, be sure to join our network! Congress reached a budget deal over the weekend, which puts new topline numbers in place. Now the appropriations committee must allocate those funds into the twelve buckets our budget is broken into. Foreign assistance is funded by two buckets. One is called base funding and the other is Overseas Contingency Operations. While the budget deal lifted the spending caps that have been in place since 2011, it slashed the Overseas Contingency Operations budget by about 40 percent. If this 40 percent cut is not made up in the base funding, there potentially will be a substantial cut to these programs, which are critical to our work. Even if you have contacted Congress before on this, now is the time to take action. Food security is when people have reliable access to sufficient amounts of affordable, nutritious food. The lack of this, therefore, is food insecurity. Typically several disasters or negative factors must converge to cause a hunger crisis and/or famine such as severe drought, conflict and instability, global food price hikes, and market fluctuations. World Vision provides emergency assistance like food at a weekly or monthly food distribution. In development contexts, World Vision builds resilience within communities over time. This means families can weather a drought, economic depression, or violence and instability without starving or losing everything. In 2016, World Vision reached 9.5 million people in 39 countries who needed food assistance. Famine was declared in 2017 in two areas of South Sudan. 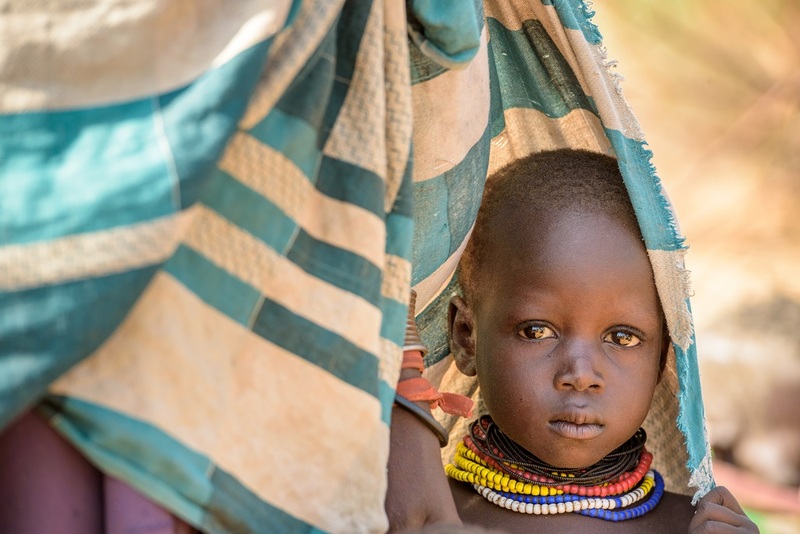 Other regions in South Sudan and several other countries including Ethiopia, Kenya, and Somalia, were teetering on the edge of severe hunger conditions. World Vision advocates, along with other organizations, raised the alarm to the U.S. government, which led to increased funding to address the issue. Mama Kosi, a widower with six children in Kenya, could hardly feed her family let alone pay for their school fees. Because she had been married to a person from a different community than her own, she was treated as an outsider and could not benefit from any projects targeting the community she lived in. Despite all this, she had the courage to join World Vision community trainings as a non-beneficiary in order to gain knowledge and skills to help improve her farming. Her persistence, courage, and hard work, paid off. Within three years, she managed to put her children through school, construct a new house, and purchase a new car, which allows her to transport her produce to the market. We should look at the whole narrative of human history. Today, we are experiencing less famine and it’s happening less frequently. Improvements in health and economic empowerment, with the help of humanitarian organizations such as World Vision, have played a critical role. As Christians, we are people of hope. We need to rally and answer the call to do more and act! In 2017 advocates secured almost $1 billion extra packaged as a famine supplemental to empower the U.S. government to partner with agencies and address the hunger crisis. Advocates also spoke to Congress in support of the Global Food Security Act, which authorized a program called Feed the Future. But, the Global Food Security Act is expiring this year! One of World Vision Advocacy’s priorities is making sure Congress reauthorizes this bill so that the program can continue. Finally, advocates must ask Congress to robustly fund U.S. foreign assistance programs to support food security. Write a letter to the editor: These pieces are about 200-300 words and are usually written in reference to an article that was in the local newspaper recently. The Opinion page of your local newspaper is where community members like you can submit a short, informative piece on a local topic – we can help with creative ways to connect what is happening globally to your local community. Letters to the Editor are great because they reach your members of Congress, even though it’s not directly addressed to them the do read and monitor local media, as well as raise awareness of the issue among other potential advocates. We know this works because members of Congress have shared that their action, or outreach to constituents, began with seeing a Letter to the Editor or Op-Ed piece. We realize that this form of advocacy may seem foreign or even a little scary – but we encourage you to try it! With a prewritten draft, it is easy for you to get started, and we will walk alongside you the whole way. ← As one budget is finishing, the next begins.